In the Tolerancenter, visitors focus on the major issues of intolerance that are part of daily life. 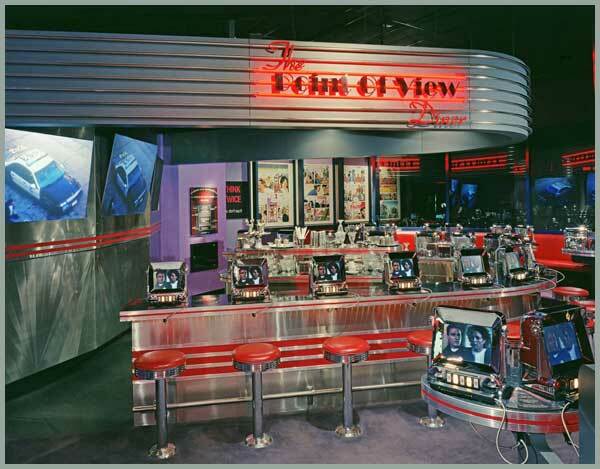 A recreation of a 1950's diner, red booths and all, that "serves" a menu of controversial topics on video jukeboxes. It uses cutting edge technology to relay the overall message of personal responsibility. Scenarios focus on bullying, drunk driving and hate speech; this interactive exhibit allows visitors to input their opinions on what they have seen and question relevant characters. The results are then instantly tabulated. 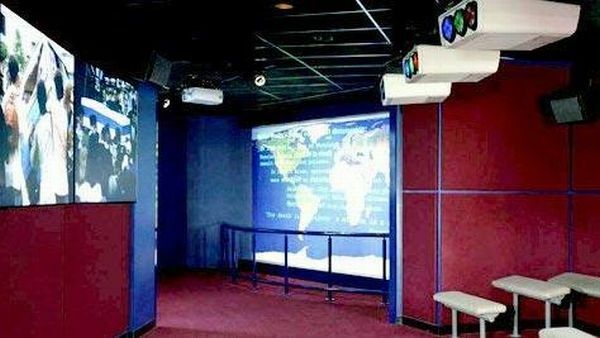 This high-tech "time machine," uses interactivity to educate visitors with a series of human rights abuses throughout the world, such as the exploitation of women and children, the threat of terrorism, and the plight of refugees and political prisoners. 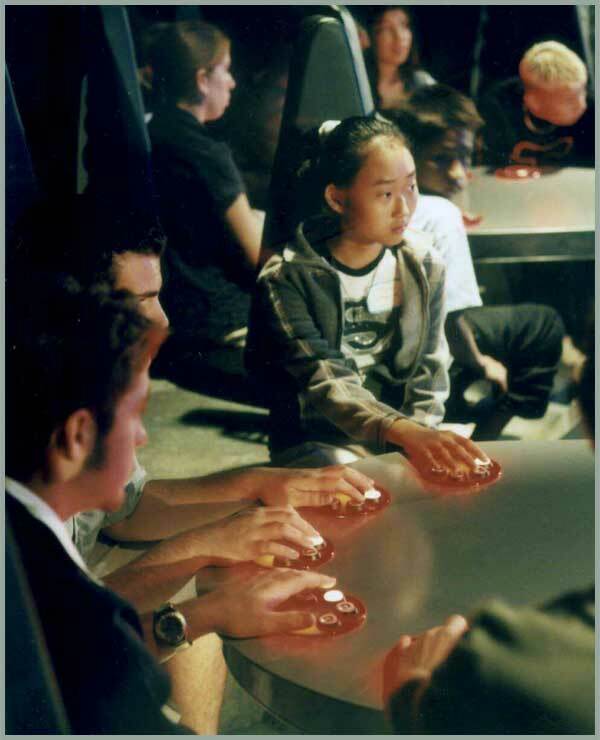 The Millennium Machine then engages visitors into finding solutions, showing that while humans have the potential to bring about these problems, they also have the capacity to put a stop to them. 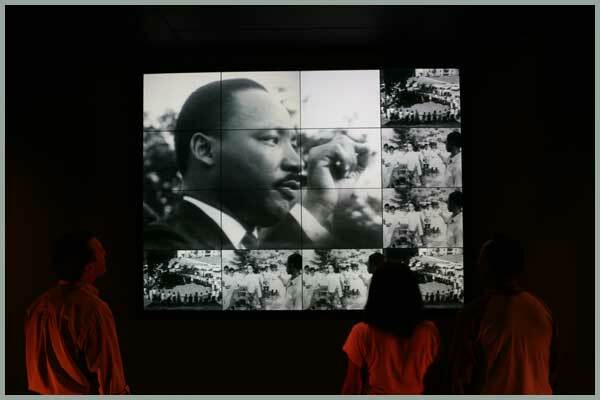 A dramatic 16-screen video wall detailing the struggle for civil rights in America through archival footage and interviews from that period in time. A powerful and gripping film featuring contemporary issues of genocide, crimes against humanity and terrorism. The film focuses on Darfur, human rights abuses in North Korea, suicide bombing around the globe all while challenging visitors to take action. Based on ongoing Simon Wiesenthal Center research and investigation of hate on the internet, Globalhate.com is equipped with touch screen computer terminals that unmask the dangerous proliferation of hate on the internet and introduce questions for critical thinking in a media saturated society. 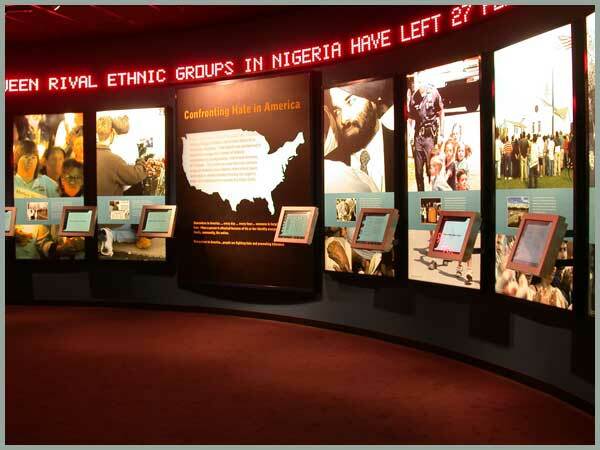 An interactive, visual history wall telling the story of this country through three themes that have shaped the American experience for 400 years – the diversity of the people that continues to shape the nation, the intolerance that must be recognized to be overcome, and the rights struggles to realize the American dream. Visitors are invited to share their thoughts in writing, and cast an anonymous vote on an important issue of the day. 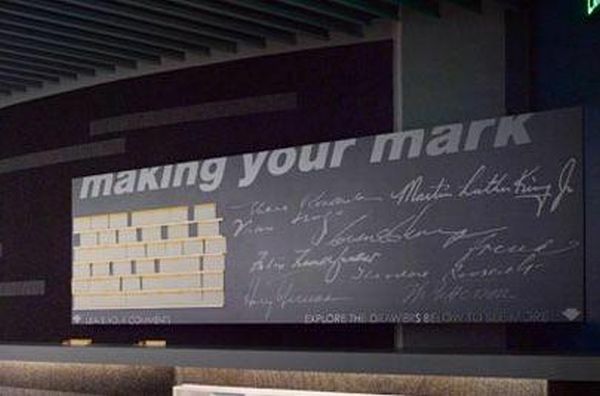 They draw inspiration from exploring archival drawers filled with original documents bearing the signatures of great historical figures, including presidents, judges, civil rights leaders and poets.